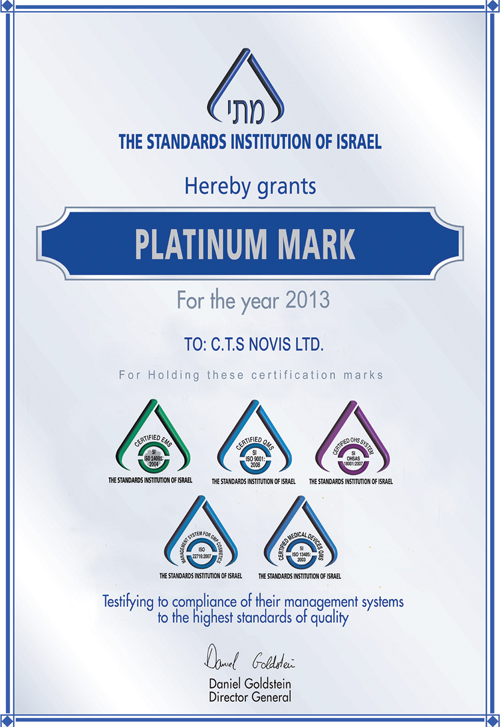 CTS Novis is an advanced manufacturing plant in Kiryat Malachi, Israel, specializing in the production of cosmetic and toiletry products based on CTS’s own development, products developed in cooperation with Private Label customers, and products manufactured under licensing agreements. The plant handles all manufacturing stages from product R&D to packaging and is highly attuned towards meeting specific customer requirements. CTS Novis manufactures over 170 products intended for both local and foreign markets. These include a range of soaps, creams, balms and sprays. Our specialized product lines deal with feminine hygiene, treatment of delicate skin, foot care and treatment of lice. CTS Novis also produces a line of dog shampoos for the Dr. PET brand. We maintain our own product R&D facilities at CTS Novis and have the capability to work closely with our customers in developing and marketing toiletries destined for particular niche markets or specialist care areas. With a view to the future, we constantly strive for technological improvements, challenging product developments and expanded cooperation with leading companies in the Private Label toiletries and cosmetics fields. ISO 9001:2000; ISO 13485:2003; British BRC, Global Standard for Consumer Products; and GMP Certification from the Israeli Ministry of Health. We closely follow all GMP guidelines and ensure that our products conform to the highest international standards of quality and safety.